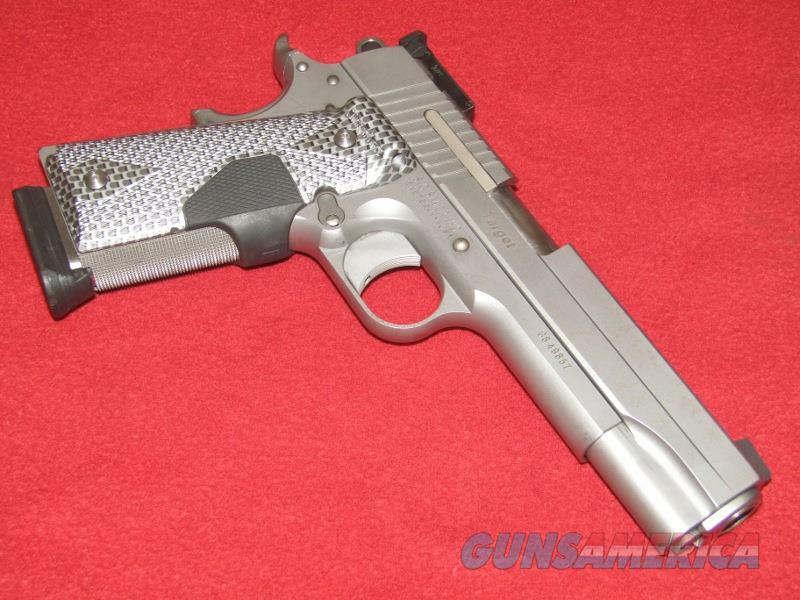 Description: Up for sale is a used Sig-Sauer 1911 Target Pistol (.45 ACP). This item has a 4 78” barrel with a shiny bore, adjustable rear sight and Crimson Trace laser grips. Light scratches are visible in the matte stainless steel finish as is some discoloration on the right side of the slide. This pistol will need to be cleaned as it is a bit dirty and the batteries in the grips will need to changed. Comes with one magazine. **Please do not offer to buy a product if you are not serious about purchasing. **Buyer must contact us within 48 hrs. of the offer to buy to make payment arrangements or a “non-paying buyer” report will be submitted. **We apologize to the individuals who are serious in their offers to purchase a product, we have been plagued by too many non paying buyers as of late which has caused us to have to take these measures. If we are not at fault, a 20 % re-stocking fee will apply to all returned merchandise. We will not ship any products out of the U.S.
Alaska & Hawaii may incur additional shipping charges. MID*STAR FIREARMS JKD Professional Gunsmithing and Sales 8390 Highway 44 Middleton, Idaho 83644, 208 585 9922, 208 585 6715 (Fax) Located between Star and Middleton on Highway 44. Now selling Hunting and Fishing Licenses. Over 1300 new and used guns in stock. Hours: Tuesday-Friday 9am to 6pm Saturday 9am to 5pm Closed: Sunday & Monday.